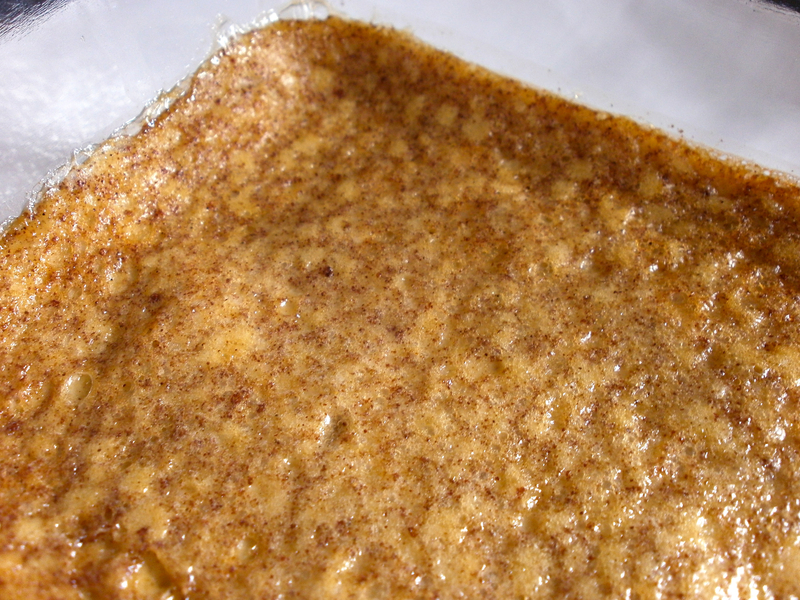 When I’m in the mood for rice pudding, I turn to my mother’s marvelous recipe. However, her recipe calls for cow’s milk. This version of baked rice pudding features coconut milk and is so good you won’t miss the dairy. Ginger makes anything a smash hit in my world. Hence, I may eat this for breakfast, lunch, and whenever else the creamy goodness summons me back. While I usually bake my pudding in a glass baking dish, I recently had the notion to try making it in individual ramekins. Cutting this recipe in half filled 6 small ramekins. I also tried steaming the puddings, both in my rice cooker and slow cooker. Either way, the steamed rice puddings ended up soggy. A finishing touch of caramelization I hoped would remedy this. Broiling the puddings briefly to crisp up the top (until it was reminiscent of brulée) was an improvement. Yet in the end, I discovered that Mom’s old-fashioned baking method is best because it yields a superior texture; no broiling is needed. Blend milks and vanilla, if using, into beaten eggs. Stir in sugar and rice. Pour into greased 9 by 9-inch or other 2 quart baking dish or divide into ramekins. Sprinkle with spices and salt. Swirl in coconut flakes (to absorb moisture while baking). Fill another medium baking pan or dish with water 1-inch deep. 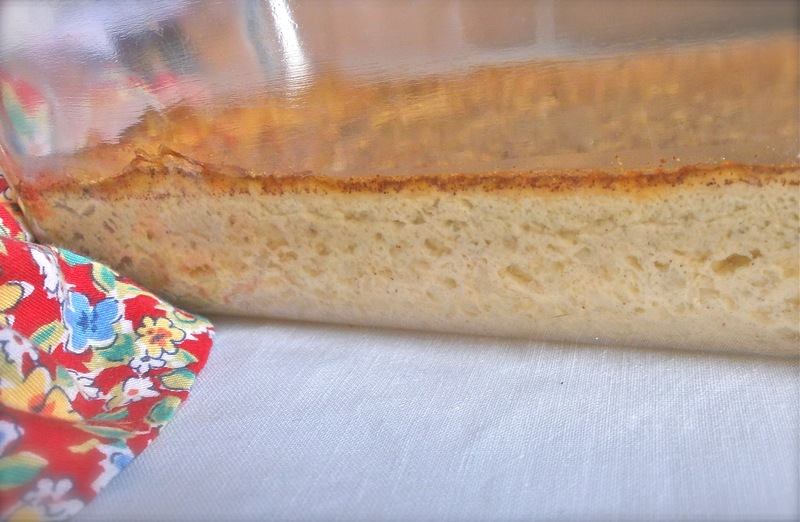 Place water pan under or next to rice pudding and bake at 350 F (180 C) for 45 minutes or longer for a baking dish, or about 35 minutes if using ramekins, until the middle is loosely set. Fun tip: Put a whole almond into this before baking and see who finds it when you serve it to family or friends. Kids love the suspense. This sounds really good. I love rice pudding but since we’ve become dairy free I haven’t made it. Thanks for sharing this – I’m going to try it! I was so happy to be able to make it again. 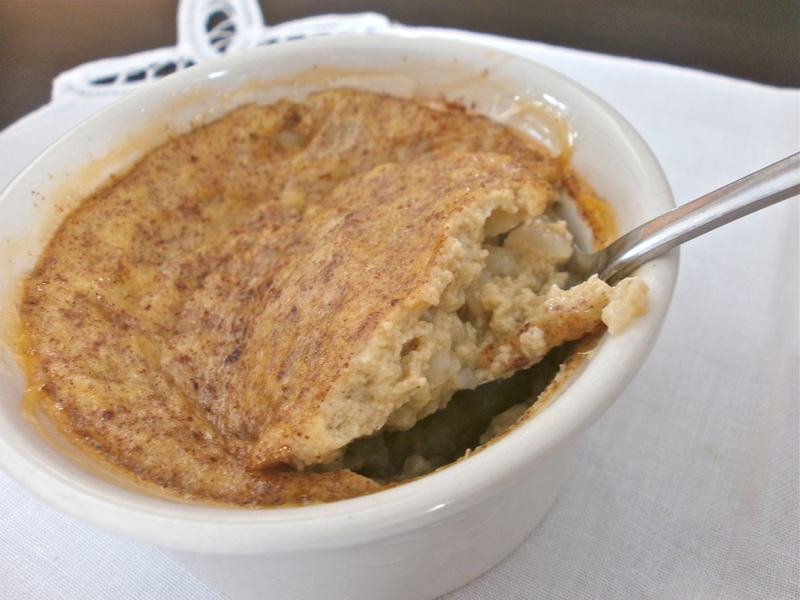 Cold rice pudding is something I can eat any time. I hope this recipe is a keeper for you too!